I’m replacing the head bolts which are two different lengths. 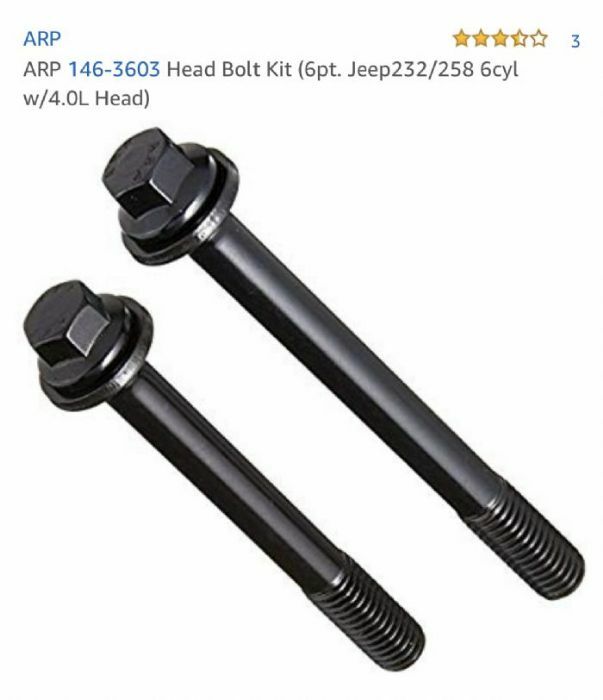 When I found the ARP head bolt kit it the sizes needed it says the set with two different size head bolts are for the 4.0 head. 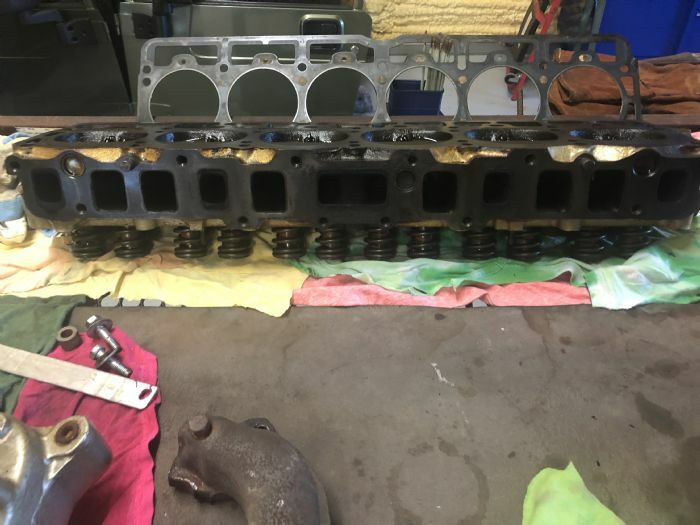 So this means there is a solid head bolt kit available for the 258 w/4.0 head? This is great. Any work requiring replumbing of the exhaust usually strikes me dead unless I'm working on such a project in the city but when the successor to the 258 can't be swapped, a partial upgrade by swapping the head is more desirable and this looks like the way to go. That part number should probably be listed in catalog notes or something. Oh the title was a question. It's a 258 head. You have freeze plugs facing the port side of the head and there is a sandwich combination of the center exhaust ports. Are the bores for the head bolts made to take 1/2" or 7/16" head bolts? It should be 7/16" across all years.